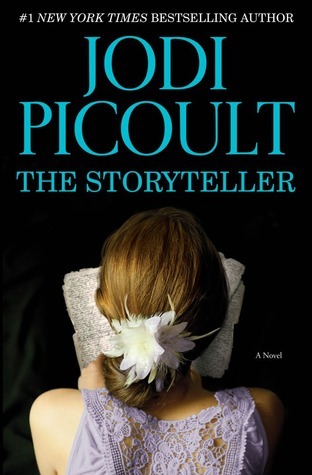 I have been a fan of Jodi Picoult since I read The Pact back in 1998. Through the years I have seen her live many times, hosted two events with her and have been called by her, at one point, "My greatest fan from Minnesota". I enjoyed being a part of the early success of her as an author. It's one of the things I loved about book selling and recommending. Obviously Jodi Picoult does not need my help so much anymore with recommending her books. She has success down pat. With this success, a cookie cutter, if you will, book outline has taken shape for her. No longer do I feel her stories are as poignant and put together and unputdownable. The last few, for me, have been needlessly over the top and tragic; side characters too fleshed out for no reason and more drama that you can shake a stick at. Does this dislike her as an author? No. Power to her. She has found a niche, a brand and she has made it her own. Does it get to me rush to a bookstore eagerly anticipating the read? No. Not anymore. However, it is deeply rooted in me, come every March, to see what her next book is, curious. I poke at it, flip through the pages and with a sigh, give it a go. This year, I decided to shake it up. Why not try the audio version? How would her books translate? Would it make me get jazzed about her again? Why not? Because of the high demand for her new books, I had to listen to The Storyteller in two chunks. I can't get through an audio book in the 10 day time frame, no matter how much I like it. This left me a bit fractured from the story and I had to remember the story and go back a bit. There is never just ONE story, or ONE narrator or one anything going on in her novels, so, of course, they were multiple narrators and stories told in two different times. For the more part I enjoyed it. I really did. It had all the drama, the tragedy, the flawed characters, the secrets from the past but it was entertaining to listen to it. The narrators were actually quite good. I enjoyed the story from the past much more than the modern day. Sage's character was not a favorite of mine. I could have done without the romance with the FBI agent. Really? You fall in love in one day? She's everything to you? She's so flawed, she's perfect? Ack. This didn't need to happen but, of course, most readers love the whole "save me" love story. Not me this time around. Overall, it was a good listen. I may try the audio for future books. We'll see. It helped this time around anyway. I say to her loyal readers to give it a shot. I was very ambivalent about The Storyteller. When I read you had/have been her biggest fan I was bummed and wondering what was wrong with me! I've just been so-so lately on her new books. Yah I don't think I like her style but I'm with you she's definitely found her niche. Like Nicholas Sparks. I have said I may try her 19 Minutes as that seems like a favourite but other than that, i'm done. I agree she doesn't need us/me as a fan, totally successful. I also listened to this one, but did not love it. Sage annoyed me for some reason. I have never read any Piccoult, believe it or not. As I started blogging, I started hearing so much about her that I thought I might give her books a try. But I started to notice these things that you mention just in the descriptions and reviews and I was so turned off. I'm not sure I'll ever pick up one of her books because of it. Sorry you've been disappointed.